Black Friday Sale @ Shein Official!! Shein Official is having the greatest Black Friday sale!! I absolutely love their selection of clothing and accessories. This fall and winter get your looks here. You can’t find these chic stylish looks for this price anywhere else. Their jacket and furry selection is amzing. I had the pleasure of receiving some looks of theirs. Check them out below. Don’t forget to use code BF181028 for 20% off everything, no limits!! Awesome, thanks for sharing all these fun outfits. 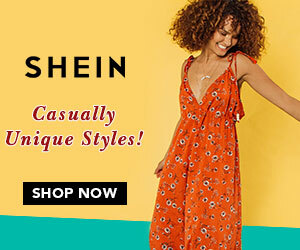 I love Shein! So many cute clothes and such good deals! Wow, you look amazing in those outfits, dear! I love the open front plaid blazer with shorts. Opening my Shein apps now! Thank you! Yes Shein is the best! It’s wonderful to see all the different Black Friday specials. There is bound to be one that fits every need.